Crème de cassis, a sweet red liqueur made from black currants, has traditionally been a Burgundy specialty. Popular throughout Europe for use in cocktails and as an after-dinner liqueur, as well as the favorite drink of Agatha Christie’s fictional detective Hercule Poirot, crème de cassis is also quite popular in Québec. On a recent visit to Île d’Orléans, an island in the middle of the St. Lawrence River just a few minutes from downtown Québec City, I discovered Cassis Monna & Filles, a boutique liquoriste that makes the crème de cassis along with three aperitif black currant wines and an assortment of black currant products. Bernard Monna is a native of Southern France and a fourth generation liquoriste. He moved to Île D’Orléans in the early 1970s and discovered that the island’s climate and soil are ideal for growing black currants. Today, Cassis Monna & Filles plants about 37 acres of black currants and produces more than 40,000 bottles of crème de cassis annually. Bernard Monna is now mostly retired, with his daughters Catherine and Anne running the company. Black currants, when ripe, have an amazing fragrance and a beautiful dark purple color. The berries are full of Vitamin C and polyphenol that boosts immunity. They are also rich in anti-oxidants and are an effective anti-inflammatory. Black currants, particularly the Titania and Ben Lomond varietals, grow well in the island’s damp, well-drained soil and withstand Québec’s harsh winters. 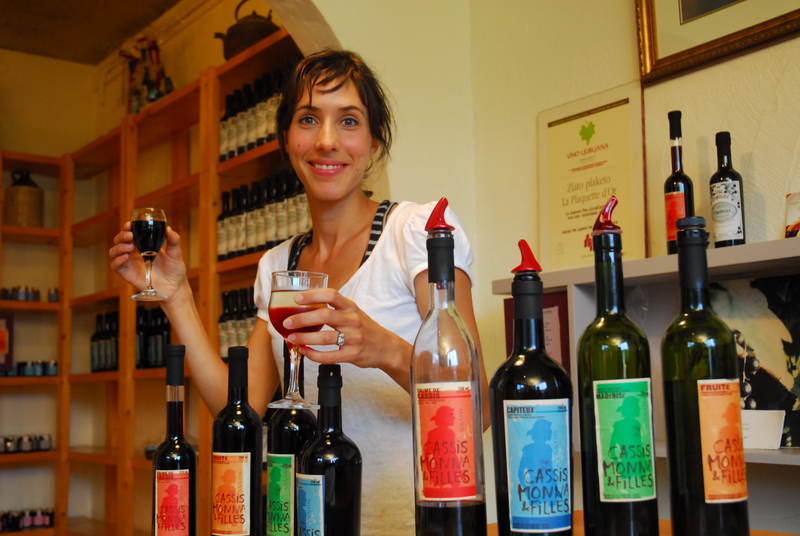 The boutique and wine cellar are located in a charming little building on the road into Île D’Orléans. The gourmet boutique is open daily from 10 a.m. to 7 p.m., year round. 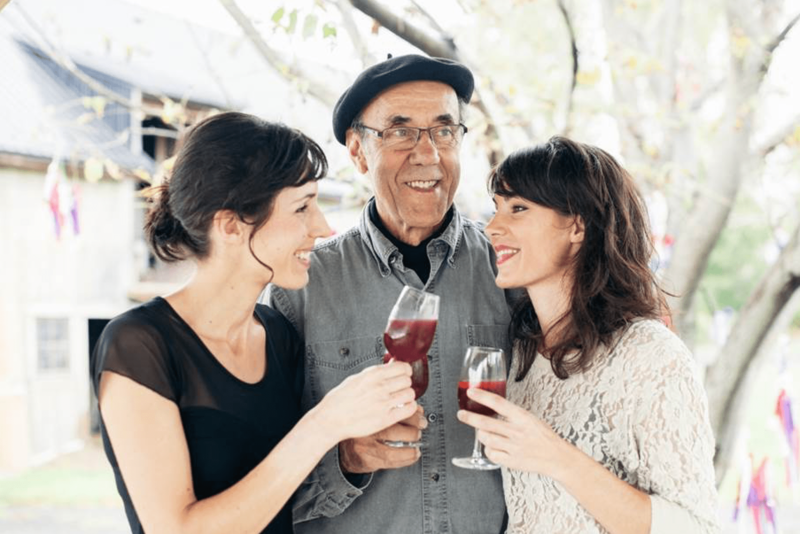 Catherine and Anne offer a free gourmet tasting of the products using black currants, including jelly, honey, jam, mustard and syrup, as well as the Crème de Cassis and three black currant wines. 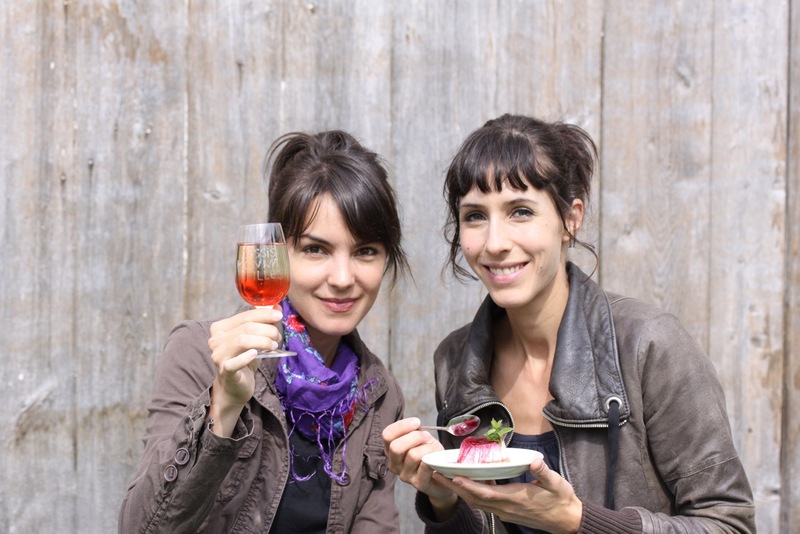 Cassis Monna & Filles is part of Québec’s innovative Économusée® network, which promotes local crafts and agri-food products. You can stop by to learn the family’s history as a liquoriste and the process for creating Crème de Cassis. During the summer months, you can step onto the terrace, La Monnaguette, and order one of the fresh bites, each using black currants. Try the local Québec favorite, poutine, with a twist while you’re visiting. This one features French Fries topped with a duck confit and black currant wine sauce. Another not-to-miss treat is the local Île D’Orléans La Paillasson cheese from Les Fromages with black currant wine jelly served with apples, pears and black currants. La Crème de Cassis is the star product at Cassis Monna & Filles. It is 19.5 percent alcohol by volume (ABV) and a deep ruby color. This is very smooth, balanced and fruity. There are numerous ways to use La Crème de Cassis, which can be stored after opening in the refrigerator for up to a year, including poured over ice cream or cheesecake. It also works well in sauces and vinaigrettes. My favorite way to enjoy La Crème de Cassis, however, is in the traditional Kir Royal, a French aperitif made with champagne. To make your own, you simply add one or two tablespoons of the Crème de Cassis to a flute and top with champagne. Crème de Cassis is also quite nice in cognac. 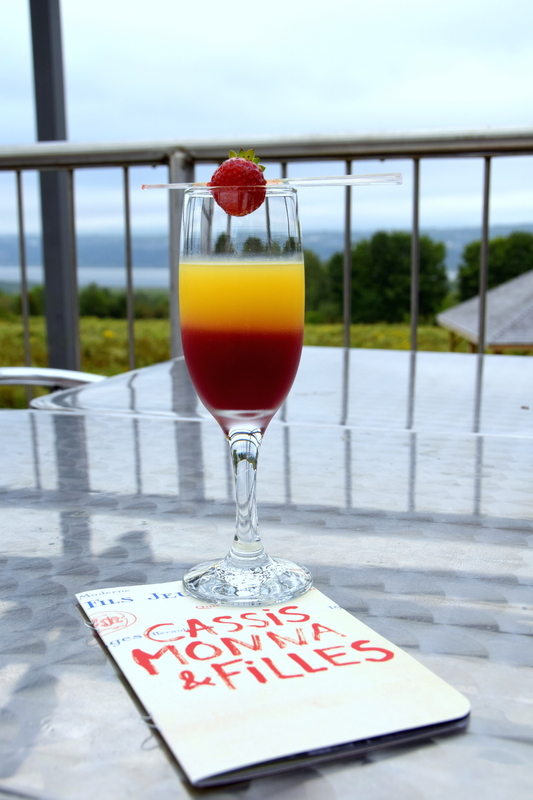 When I visited, I tried a non-alcoholic version of La Crème de Cassis, the black currant syrup, served mimosa style with orange juice. The “Mimonna” was a fun drink for morning and a great introduction to the bright fruit flavors of the black currants. Le Madérisé is probably the most complex of the black currant wines at Cassis Monna & Filles, with aromas of coffee and wood. While this one also works well as an aperitif, it is ideal to pair with dark chocolate or as a key sweet component in sauces. It is 15 percent abv and can be stored in the refrigerator for up to six months after opening. Le Capiteux is 19 percent abv. This is a port-style wine with notes of vanilla, nuts and coffee. It pairs perfectly with dark chocolate, Stilton bleu cheese or an after-dinner cigar. This one will keep in the refrigerator for up to six months after opening. Le Fruité is one of the three varieties of black currant wine available at Cassis Monna & Filles. It is 15 percent abv and reminded me of a summer day. The black currant is prominent. This sweet, fruity wine is ideal for warmer months, served over ice as an aperitif. It also creates lovely full-bodied flavor in a sangria. This is a more delicate wine and can be stored for up to three weeks in the refrigerator after opening. It is truly a shame that Créme de Cassis has fallen out of favor in the US markets, but I enjoy drinking it when I travel. I have discovered it on cocktail menus with greater frequency in the past year. It is a unique taste that can take great cocktails to the next level. Find out more about Cassis Monna & Filles online at cassismonna.com.